It’s a program designed just for kids – 5 to 17 years of age. 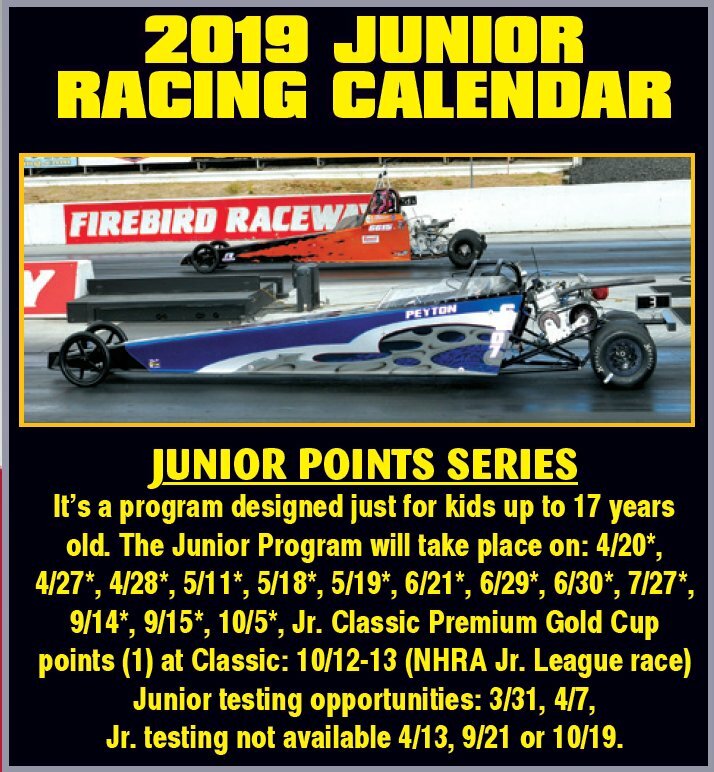 Firebird is proud to host a variety of events each season for kids 5 to 17 years of age in the Junior Drag Racing League. Events begin in April and continue through October. Firebird offers a Junior Dragster category with a Season Championship on the line. Specific dates are listed in the schedule panel, above.